jMetrikTM is free and open source psychometric software. It runs on any Windows, Mac OSX, or Linux platforms that have a current version of Java. Read the options below and select the version of jMetrik that is appropriate for your computer. The interface is intuitive and easy to learn. It also scales to the experience of the user. New users can quickly learn to implement psychometric procedures though point-and-click menus. Experienced users can take advantage of the jMetrik command structure and write command files for executing an analysis. Psychometric methods include classical item analysis, reliability estimation, test scaling, differential item functioning, nonparametric item response theory, Rasch measurement models, item response models (e.g. 3PL, 4PL, GPCM), and item response theory linking and equating. jMetrik’s embedded database increases productivity by providing a common data format for all of its methods. There is no need to reformat or reshape data for each procedure. The database is the primary mechanism for data management. 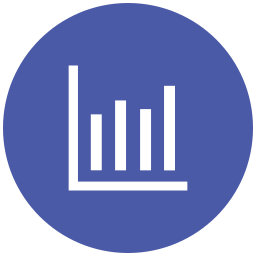 There is virtually no limit to the sample size or number of tables that can be stored in the database. Users are only limited by the amount of storage on their computer. After importing data into jMetrik, users can create subsets of data by selecting examinees or variables. Users can also create new tables by saving the results of an analysis in the database for further processing. New users should read the Quick Start Guide or watch a short video about using jMetrik. Additional step-by-step instructions are available for some procedures in the online User Guide. For questions about jMetrik, see the FAQ page or join the jMetrik Google Group. Click here to access example data files that you may use while learning jMetrik. Users with a valid IBM SPSS license can now import SPSS *.sav files directly into jMetrik. They can also export data as an SPSS *.sav file. In a Rasch models analysis, the raw-to-theta conversion table now includes extreme items if they have fixed difficulty values such as those provided via an item parameter table. Each file below is about 12 MB. 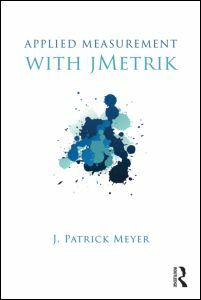 Java 1.8 or higher is required for jMetrik to install and function on your computer. If Java is not currently installed on your computer, download it here first and install it. If you receive a security warning during installation, please read this FAQ to learn how to complete installation. Mac users should also read this FAQ before installing the program. Windows Installer. This file is an executable file for installing jMetrik to a computer running Windows (Vista, 7, 8, 10). This file does not include the Java Runtime Environment (JRE). You must first install a recent version of Java. Windows Installer with JRE. This file is an executable file for installing jMetrik to a computer running Windows (Vista, 7, 8, 10). This file includes the Java Runtime Environment (JRE). Only download this file if you do not have Java installed on your computer. Windows Zip File. This file is a zip file that can be extracted to a location on your computer. It is a good option if your IT manager does not allow you to use executable files. This file does not include the Java Runtime Environment (JRE). You must first install a recent version of Java. Mac OSX Installer. This installer file is a *.dmg file. It does not include the Java Runtime Environment (JRE). It is for recent versions of Mac OSX. You must first install a recent version of Java. Mac OSX Installer with JRE. This installer file is a *.dmg file. It includes the Java Runtime Environment (JRE). It is for recent versions of Mac OSX. You must first install a recent version of Java. Mac OSX Archive File .This file file that can be extracted to a location on your computer. This file does not include the JRE. It is a good option if your IT manager does not allow you to use executable files. Linux Installer. Use this *.rpm file to install jMetrik on Linux machines. Linux sh File. A Linux *.sh file for any variety of Linux, but only tested with Ubuntu. All files listed above were created with install4j, a multiplatform installer builder. 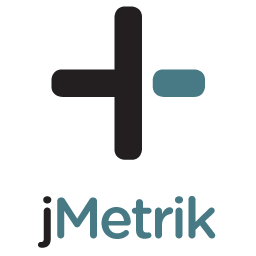 Applied Measurement with jMetrik is the official user guide. It provides step-by-step instructions for most of the features in the application.